By leveraging our strategic partnerships with the top IT companies in the industry, we develop best-fit solutions for our customers. Browse our robust portfolio below. 3DR is a drone technology company based in Berkeley, California. Its flagship product, Site Scan, is a complete drone data platform built for construction and engineering professionals to help them build and manage the physical world. Akamai and DLT partner together to enable agencies with a Cloud First strategy that improves the security, performance, and scale of their cloud based solutions. DLT partners with AlienVault to deliver compliance management, threat intelligence and network security management to government agencies. DLT and Alteryx work together to provide government customers with deeper insights by seamlessly blending internal, third party, and cloud data, and then analyze it. As a Premier Consulting Partner for Amazon Web Services (AWS), DLT helps make the path to the cloud seamless and cost efficient for federal agencies and higher education institutions. With DLT, AppDynamics can help manage enterprise and custom applications for public sector agencies. DLT partners with Appian to provide a software development platform that combines intelligent automation and enterprise low-code development to rapidly deliver powerful business applications. Many of the world's largest organizations use Appian applications to improve customer experience, achieve operational excellence, and simplify global risk and compliance. DLT partners with ARCHIBUS to provide government agencies access to this integrated data which informs strategic planning, increases productivity, and a lower cost of physical asset ownership. DLT & Autodesk provide agencies with solutions for BIM, 2D and 3D digital design mapping, civil engineering, construction simulation, and more. BeyondTrust is dedicated to proactively eliminating data breaches from insider privilege abuse and external hacking attacks. Our partnership with BeyondTrust allows us to provide government agencies with a risk intelligence platform of unified Privileged Account Management and Vulnerability Management solutions that shrink attack surfaces, identify threats, and maintain compliance. With DLT, Blackboard helps Government clients provide today’s diverse employees and learners with flexible professional development, training, and online learning that they need to be successful. BMC and DLT partner together to offer agencies a unified Business Service Management platform that simplifies and automates IT processes and improves decision making. Centrify is a leader in securing enterprise identities against cyberthreats that target today’s hybrid IT environment of cloud, mobile and on-premises. DLT Partners with Checkmarx to accelerate public sector delivery of secure software by bringing enterprise-grade application security testing to developers in Agile and DevOps environments. CloudBees provides continuous delivery and continuous integration solutions and enables IT organizations to respond rapidly to the software delivery needs. Partnered with DLT, DataRobot is a leader in data science delivering a platform to build accurate predictive models. DataWalk and DLT partner to enhance the investigative capabilities of public sector, DOD, and intelligence agencies using DataWalk’s next-generation analytics software. Elastic, creators of Elasticsearch, is a search company that builds software for real-time, scalable search, logging, security, and analytics use cases. As an Evident.io partner, we provide government agencies with the most innovative cloud security, governance, risk management and compliance technologies. Together we are focused on making it easier for government agencies to secure their cloud environments via the Evident Security Platform. Fidelis and DLT help protect agency's most sensitive data by offering deep session inspections, incident response services, network analysis, and endpoint detection and response. Through our partnership with Flexera, we help the public sector solve challenges involving software licensing management, software deployment, and compliance and installation solutions. ForeScout Technologies is transforming security through visibility, providing agentless visibility and control of traditional and IoT devices the instant they connect to the network. DLT works with GitHub to provide government agencies with integrated issue tracking, collaborative code review, and an easy platform for team management. DLT provides the most innovative geospatial, search, and productivity technologies to the public sector through our partnership with Google. An integral part of the DLT AnalyticsStack, Informatica and DLT together to provide data integration software and services that empower your agency to access, integrate, and trust all its information assets. ​LogRhythm, a leader in NextGen SIEM, empowers organizations on six continents to measurably reduce risk by rapidly detecting, responding to, and neutralizing cyberthreats. LogZilla's Network Event Orchestrator (NEO) platform is the fastest / most scalable network event automation and orchestration platform in the world. McAfee and DLT help federal agencies better protect their environments from malicious threats. NetApp helps government agencies manage explosive data growth by simplifying the complexities of data management. NetScout Systems, Inc provides real-time operational intelligence and performance analytics for digital business services against disruptions in availability, performance, and security in the Federal Department of Defense and Federal, Civilian, State and Local agencies. Nuix helps organizations and law enforcement agencies worldwide make informed decisions by identifying the hidden connections between people, objects, locations and events. Whether you’re looking to solve for insider threats, incident response or criminal investigations – we’ve got you covered. ​DLT Partners with OneLogin to accelerate public sector growth by providing Unified Access Management to government agencies to enable its customers to connect people with technology through a simple and secure login. With more than 20 years of Oracle partnership, DLT combines comprehensive knowledge of the Oracle product portfolio with license acquisition expertise to deliver mission critical IT solutions. With DLT, Palo Alto Networks is a game-changer in cybersecurity delivering government agencies the innovative Next-Generation Security Platform. Pluralsight is the technology learning platform for teams that need to enhance the expertise of their technologists to keep up with the pace of technological change and deliver key innovations on time, on budget and securely. Polyverse’s ground-breaking Moving Target Defense technology is a cybersecurity game changer — the only technology proven by the U.S. Department of Defense to stop 100 percent of the most dangerous zero-day attacks. It installs in minutes and works with existing security systems to provide comprehensive zero-day protection, and more. With Pure Storage all-flash based technology, DLT and Pure Storage partner to accelerate and de-risk critical agency initiatives. DLT and Quantum together o­ffer a comprehensive range of tape, disk, media, software solutions, and service to support our government customers. As Red Hat’s largest government reseller and 2015 North American Public Sector Partner of the Year, DLT provides agencies with the most trusted open source technologies available. Through our partnership, we provide best-in-class software solutions for integration, service-oriented architecture, big data, and business process management. DLT partners with SolarWinds to offer IT management and monitoring solutions for networks, applications and servers, virtualization, storage, help desk, secure file transfer, and security information and event management. Sumo Logic is the leading cloud-native, machine data analytics platform, that delivers real-time, continuous intelligence across the application lifecycle and stack​. 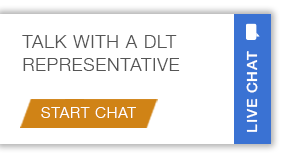 DLT partners with Symantec to provide your agency with data protection, cybersecurity, and threat protection software solutions. Partnered with DLT, Tableau is a leader in big data analytics delivering platforms that make analysis efficient and simple for all, not just technical users. TITUS and DLT enable agencies to classify, protect and confidently share information, as well as meet compliance requirements by identifying and securing unstructured data. Through our partnership with TomTom, we deliver the digital maps and dynamic content that power essential navigation and location-based services, bringing comprehensive Geospatial Data Systems. DLT is partnering with Trend Micro to offer best-of-breed security solutions to our federal and SLED customers, in order to protect their data and systems as they move to the cloud. With Tripwire, protect against cyberattacks with the industry’s best foundational security controls. Detect threats, identify vulnerabilities, and harden configurations in real time. Veritas and DLT solutions help organizations harness the power of their information by shifting the focus from infrastructure to information.